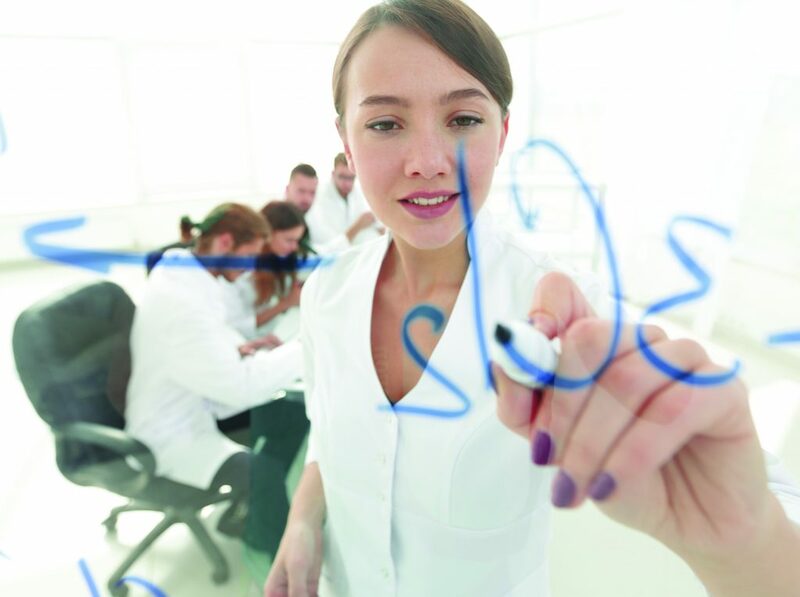 Gender disparity in Science, Technology, Engineering and Mathematics (STEM) at the highest levels of universities remains prevalent, despite consistent increases in the numbers of female students entering many of these fields as undergraduates. Professor Margaret Bailey of the Rochester Institute of Technology, NY, is combating this issue by identifying ways in which female faculty can be supported and retained through the restructuring of organisational structures within universities. Science thrives on diversity. The pinnacles of human innovation are seldom the work of a single mind, but more often are the combined efforts of multiple researchers and thinkers contributing ideas and insights, that come together into something that changes the world as we know it. When these thinkers are from diverse backgrounds, they bring novel perspectives and insights to the problem at hand that can benefit the group as a whole. Science offers the solutions to some of the greatest challenges we face today, from climate change, to water shortages, to pollution and energy crises. Our future hinges on the innovations that science will produce, and the most transformative innovations often come from the most diverse groups of minds. However, science, technology, engineering, mathematics, and the social and behavioural sciences (STEM/SBS) all face a diversity problem. Despite numerous programs to increase the numbers of women and underrepresented minorities in STEM/SBS career pipelines, there is still a large gender gap in the upper levels of academia, largely due to the attrition of female students throughout multiple stages of undergraduate and graduate education. Even when women make it into faculty positions, they are less likely to stay in one university for the duration of their career, but rather bounce persistently from university to university looking for better opportunities. The problem is perhaps best illustrated in STEM fields in which there is less of a disparity in student ratios. 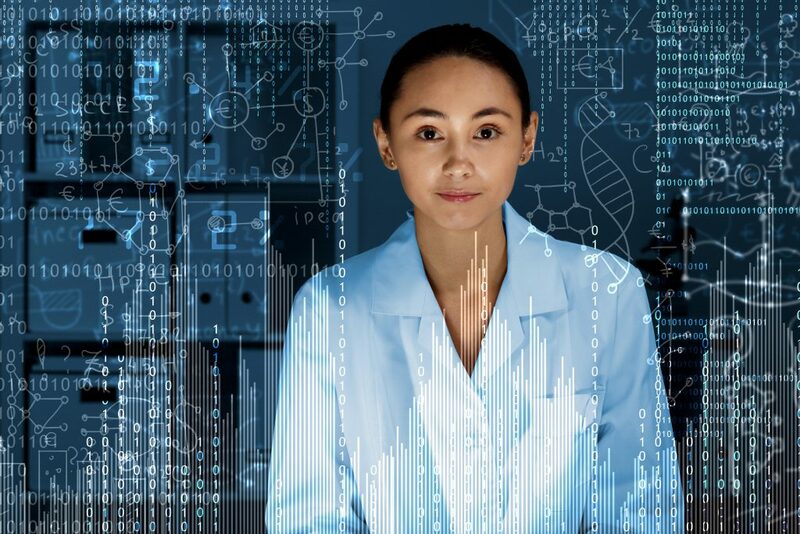 In the field of biology, for example, women typically outnumber men throughout each level of early career progression, from undergraduate to graduate level, where slightly over half of biology doctorates are awarded to women. However, the ratio begins to change at the faculty level and by the time you reach senior tenured faculty, men outnumber women 2 to 1. What is the source of this gender disparity in the highest levels of academia, if it cannot be simply attributed to less female students entering the career pipeline? More important, what can be done to support the careers of women scientists such that they want to stay in academia? The new normal that Dr Bailey envisions begins with understanding what factors help some groups of people easily climb the career ladder in academia, while other groups languish in the lower levels, struggling to grab the next rung. Her work focuses on social resource theory, the idea that there are resources within social networks that promote an individual’s upward mobility. Individuals who are able to easily utilise these resources experience faster career growth, while those that have to struggle to gain access to them will enjoy less career success. For example, a man navigating the career ladder of a research university may enjoy the benefits of more networking and mentorship opportunities from other male faculty. An equally capable woman in the same position may have to try much harder to gain access to the same benefits, or even be altogether excluded from them. This is particularly true of women of colour and/or women with disabilities, who are even more likely to face subtle discrimination in academic settings. By understanding the factors that influence resource availability to different groups of people, Dr Bailey drives initiatives that remove barriers to academic career satisfaction and advancement for women, particularly for minority and disabled faculty. Her work in this area began when she spearheaded a study to identify exactly what the barriers were to female academic career advancement at earlier stages in one of STEM’s most critical fields, engineering. 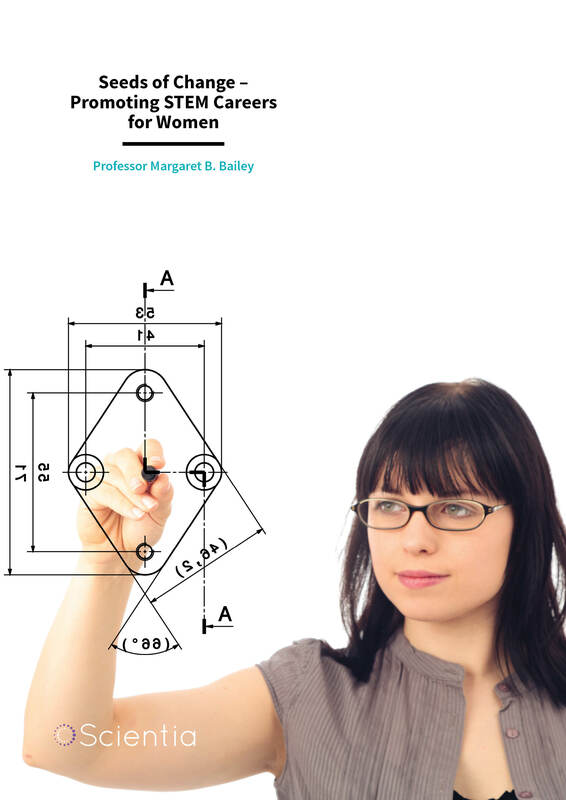 Over three years, from 2008 to 2011, Dr Bailey and a team of colleagues at four US universities engaged in, ‘Pathways to Work: Self-Efficacy and Retention of Women in Undergraduate Engineering,’ or ‘the Pathways Project,’ to work to understand the individual and social factors that lead to female student retention in engineering. Engineering has high dropout rates on the whole, with nearly 40% of first year engineering students changing majors or leaving university all together. Her team hypothesised that self-efficacy, the strength of one’s belief in their own ability to complete a task, could play a large role in how persistent STEM students were in their educational pursuits. This confidence in one’s ability can be highly influenced by social experiences and societal impressions about what types of people can be engineers. Dr Bailey hoped to identify ways that university programs could build the self-efficacy of engineering students, particularly female and under-represented minority students who are already at a societal disadvantage of self-image in the sciences. To expand on this concept, Dr Bailey’s team studied the impact of cooperative work experiences, an interesting educational approach in which second through fourth year students, both male and female, participate in cooperative work experience related to their engineering studies. This gave students the opportunity to work as part of a team while applying their newly learned engineering knowledge, with the aim of increasing confidence in their personal engineering abilities through successful utilisation of engineering skillsets in socially supportive environments. They found that long term retention was enhanced in students that completed cooperative work programs and could be attributed to aspects of social support and increased self-efficacy gained from successful application of learned skills. Further, developing work specific self-efficacy increased the likelihood that a given student would view engineering as a viable career and build habits and behaviours associated with effective working habits in the field. The next step in Dr Bailey’s research was to use these findings to create transformational change in higher level academic settings. In 2012 she secured funding from the United States National Science Foundation for their, ‘Increasing the Participation and Advancement of Women in Academic Science and Engineering Careers (ADVANCE),’ program. 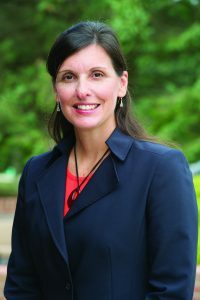 Her project, ‘Creating Opportunity Networks for Engagement and Collective Transformation – Increasing the Representation and Advancement of Women Faculty,’ aims to plant seeds of change in the Rochester Institute of Technology faculty ecosystem that supports the career development of female faculty, while improving work-life balance and professional experiences for all faculty. Dr Bailey’s goal for her ADVANCE project is to utilise and evaluate a multi-faceted approach to organisational change at the Rochester Institute of Technology and to help women gain better access to social resources, while improving and expanding upon policies that benefit all members of the faculty. The project team approached this goal from four angles – structural changes, human resources initiatives, political alignment and symbolic changes. Structural changes shift practices and attitudes that affect the advancement of women in faculty positions. To support these initiatives, the ADVANCE team engaged in campus-wide faculty climate surveys as well as a salary equity study. The climate surveys identified many ways in which the dean’s office and provost could shift priorities and focuses to better support the faculty community as a whole. The salary equity study found that, indeed, unexplained salary differences existed across gender lines. As a result, the campus experienced increased dialogue around salary structure, and proactive changes to increase salary transparency and resolve inequities across the university. Salary related data is no longer kept in the dark, but instead is disseminated widely, allowing for more productive conversations during yearly reviews. To implement human resources changes, the program drove more initiatives that support transparency around policies related to work-life balance, such as parental leave policies that make it easier for female faculty to enjoy raising a family and being a professor. The program also implemented a number of opportunities for professional development driven by human resources policies and procedures, including increased education on unconscious bias in the workplace and active bystander awareness. Politically, the project is working to realign power structures in departments such that female faculty are receiving the same support as their male co-workers. Through evidence-based development models and educational programs, people in power are engaged in more structured mentoring relationships for junior women faculty. Finally, many symbolic changes are underway to change the university-wide culture around gender. For example, a new Advocates and Allies program offers male faculty the opportunity to learn actionable steps they can take to create a more positive work environment for people of all genders and backgrounds. Dr Margaret Bailey, PhD, PE is the Senior Faculty Associate to the Provost and Principal Investigator for the ADVANCE project and Professor of Mechanical Engineering within the Kate Gleason College of Engineering, Rochester Institute of Technology. Dr Bailey is engaged in research related to gender within engineering and science through the National Science Foundation (NSF) Pathways Project, supporting the development of early career female engineers, and the NSF ADVANCE Institutional Transformation project, increasing the representation and advancement of women STEM faculty, by removing barriers to career progression. She co-chairs the President’s Commission on Women and is also the Founding Executive Director for the nationally recognised women in engineering program WE@RIT. JA Raelin, MB Bailey, J Hamann, LK Pendleton, R Reisberg and DL Whitman, The role of work experience and self-efficacy in STEM student retention, Journal on Excellence in College Teaching, 2015, 26, 29–50. JA Raelin, MB Bailey, JC Hamann, LK Pendleton, JD Raelin, R Reisberg and Whitman D, The gendered effect of cooperative education, contextual support, and self-efficacy on undergraduate retention. Journal of Engineering Education, 2014, 103, 599–624. JA Raelin, MB Bailey, JC Hamann, LK Pendleton, JD Raelin, R Reisberg, R and Whitman D, The effect of cooperative education on change in self-efficacy among undergraduate students: introducing work self-efficacy. Journal of Cooperative Education and Internships, 2011, 45, 17–35. Recipient of the 2011 Ralph W. Tyler Award by the Cooperative Education and Internship Association (CEIA). The award is given to university researchers for distinguished scholarly work and publication in the field of cooperative education, internships, and work-integrated learning. M Bailey, L Manning, E Dell, C Marchetti, M Valentine, Reimagining and Refining Campus Cultures: Promoting an Inclusive Learning Environment at RIT. SIGITE 2017: The 18th Annual Conference on Information Technology Education Proceedings, Rochester, NY, 4 – 7 Oct. 2017.